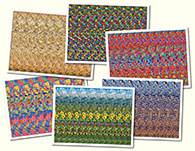 Miscelenious Stereogram Gallery : Ball : Stereogram Images, Games, Video and Software. All Free! 4. i finally did it! 5. Is it just me or does that sphere look transparent? 6. It does look transparent to me too. I think it is done on purpose you can see the front an the back of it. I thought it would then work crossed eyed too but if you cross your eyes the two halves look back to back. br Great illusion ! 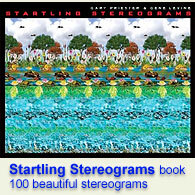 I had never seen transparent stereograms before ! 8. WOW!! two stereograms in one picture really good. br I had never seen this stereograms before. 22. It s cool how light lines form the front hemisphere and mozaic forms the back one. 23. It s only half of a sphere. The back half is missing.